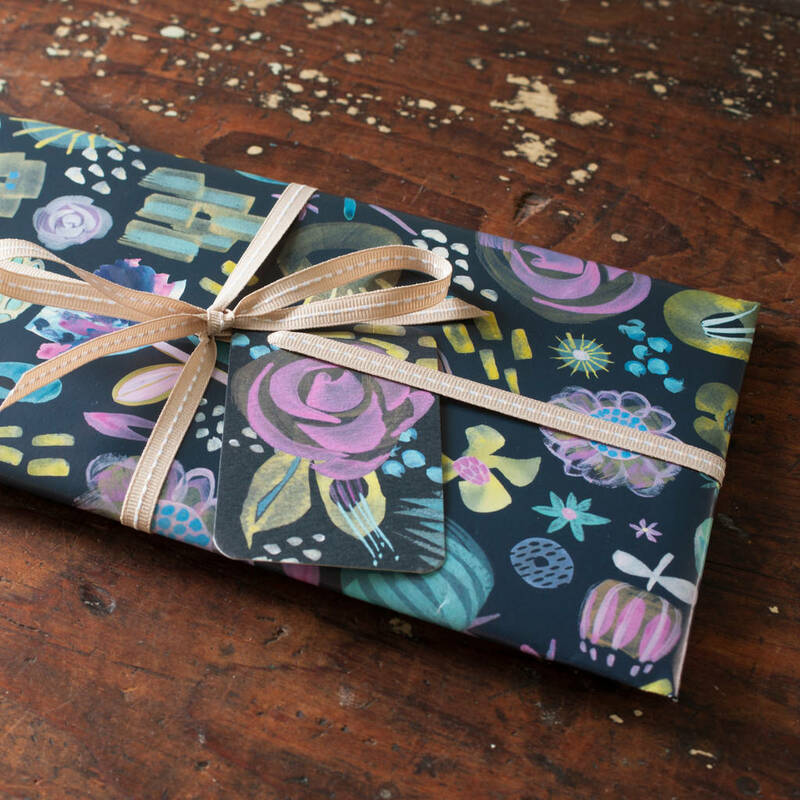 A hand painted wrapping paper design printed in repeat for Gabriella Buckingham Design, it is a modern dramatic floral gift wrap for women. 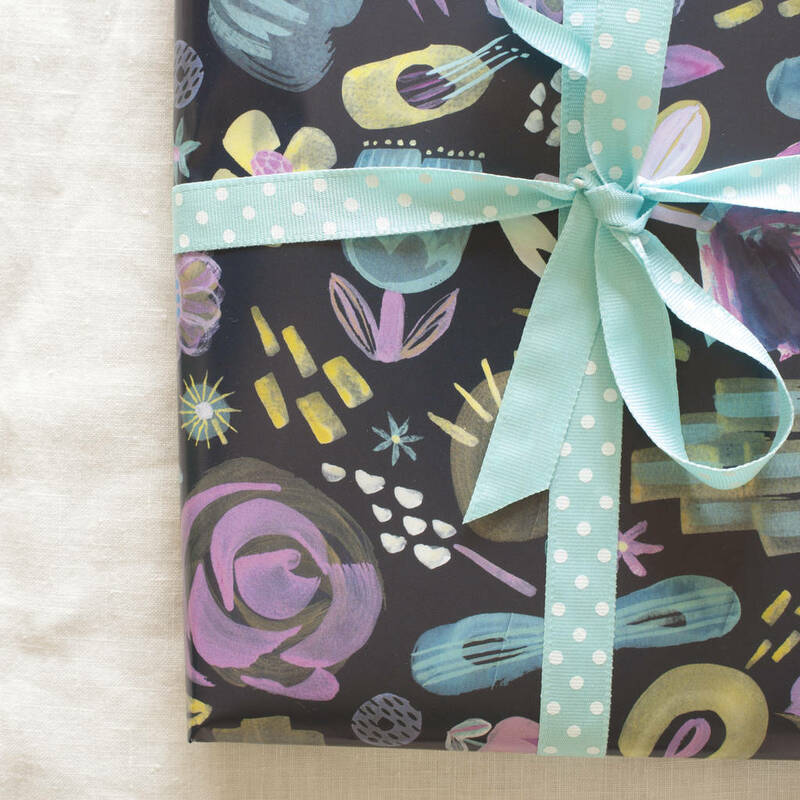 Two folded sheets of paper in a cello bag. 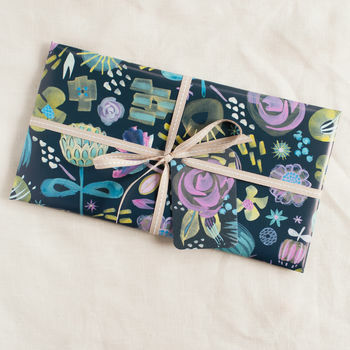 Midnight Floral is a flower and art inspired abstract wrapping paper for women's gifts. 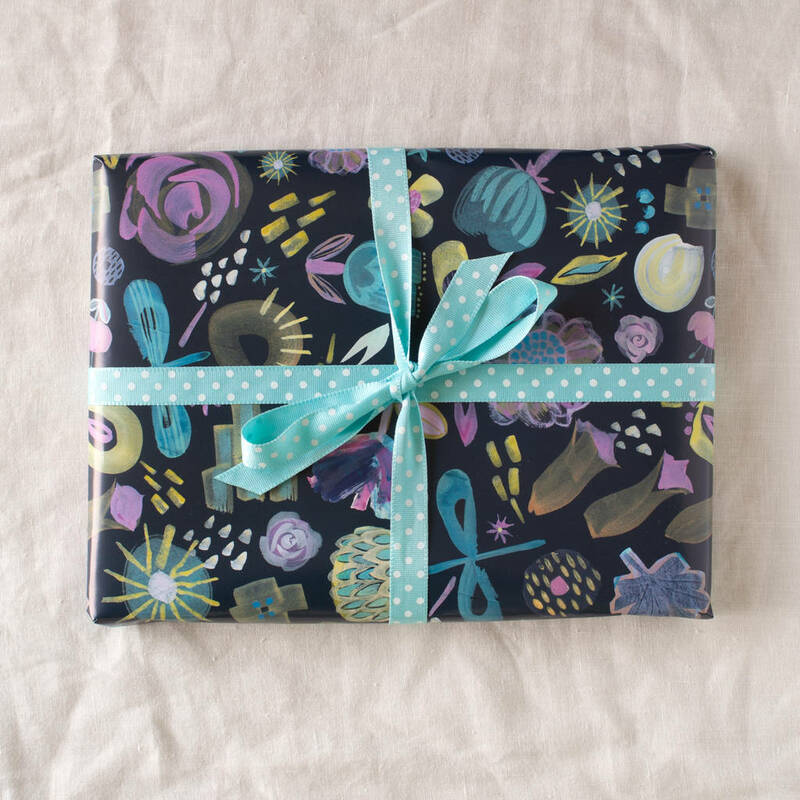 Show the love and care you have for a friend by wrapping their gift in this unusual hand painted paper. 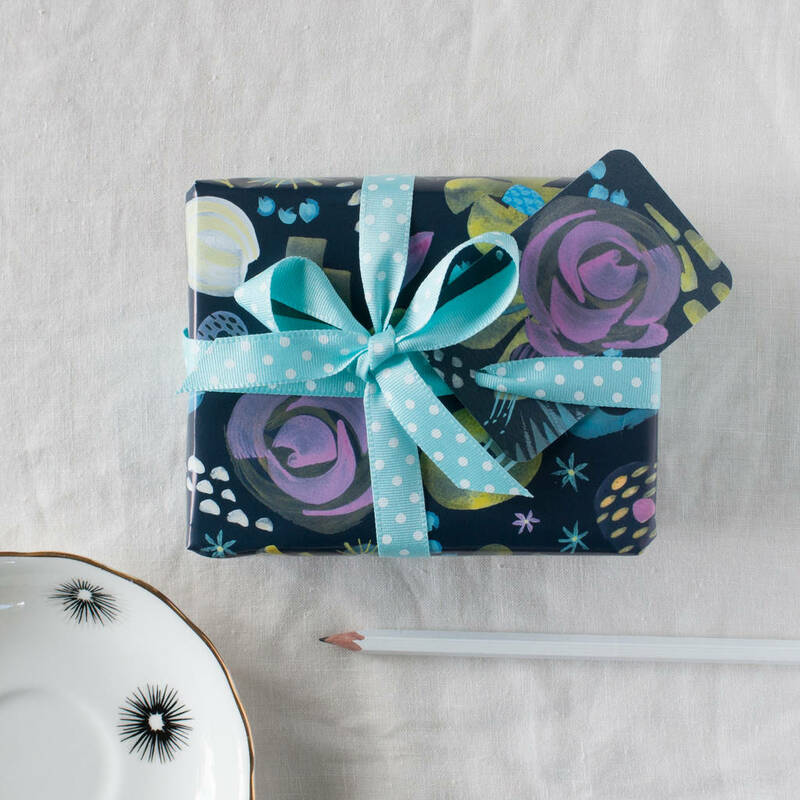 It's special enough for a wedding gift and being colourful you will find it looks wonderful with blue, pink, yellow or white ribbon. The base colour of this wrap is blue black and the principle colours are blue, yellow, pink, purple, white and a neutral golden brown. 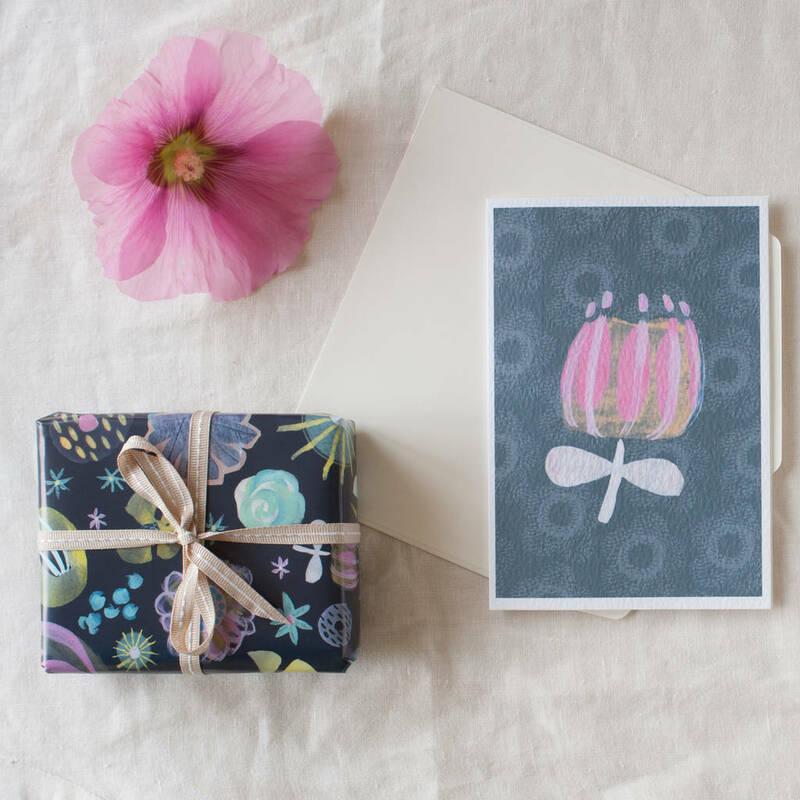 Silk finish paper printed with vegetable inks. This paper is environmentally friendly.